Some days you just need to focus on the positive. You need to remind yourself where you started, where you are and that you are closer to your finish line than when you started! I would often try to change how I looked. It was always a failure. I had many excuses and reasons why it never worked. I did have a lot of issues going on with my health and that did add to all of it. What it really came down to though was that my eyes saw myself and didn’t like what I saw. My heart would feel heavy and I would say I wanted to change. My mind had not jumped on board and so it all went to pot. The moment my mind changed and knew that I needed to change. The moment my mind knew I needed this. Everything else followed along! 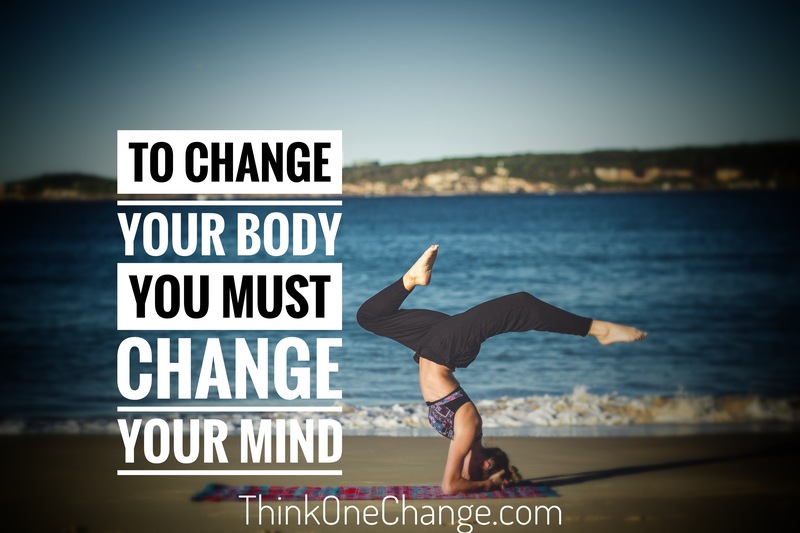 You mind is so much more important and needs to be on board with your body changing! When you are having a bad day, focus on the good. There is always something good that is going on around you to focus on. It doesn’t have to be anything big. It can be your cat basking in the sun. It can be the flowers popping up in the spring. It can be the bright white clean snow falling from the sky. It can be the 2 ounce weight loss. It doesn’t matter what it is. 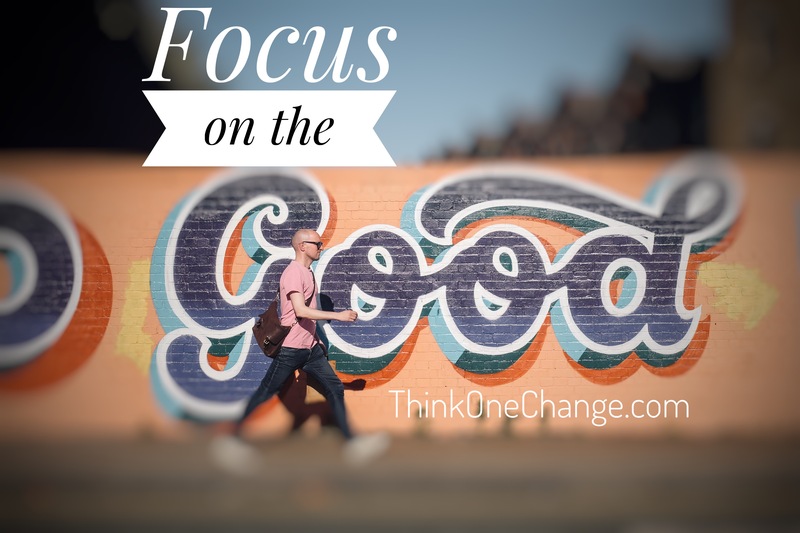 You have to focus on the good. Being a positive person takes practice. Not everyone is born that way. Most people I know go to the negative side of things before the positive side of things! Be different, change your way of thinking. Shoo your negative thoughts away for one month. Focus on the good for one month. See what it does for your mental health and self-esteem! When you are focused on the positive things it all transfers over to your life. People want to be around those who are positive. 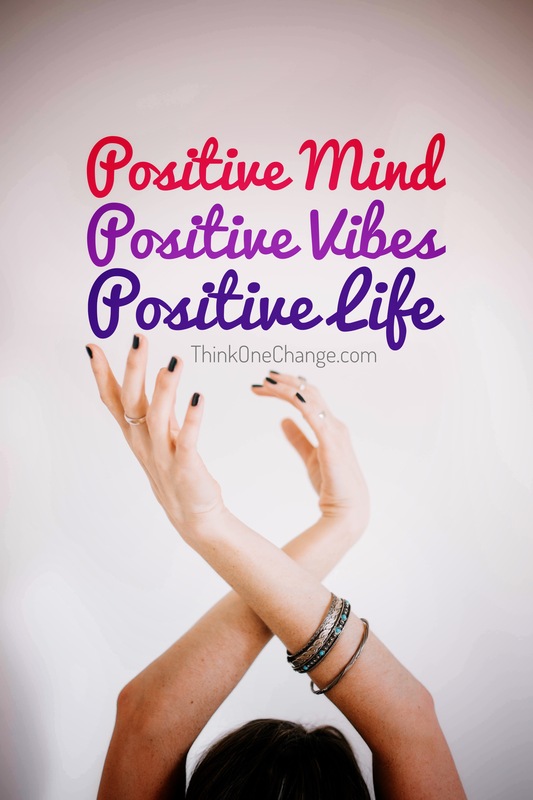 You being positive attracts others to you! They want to know your secret and why you are so happy. What is behind your smile? Where did your optimism come from? Is it something that can learn to do as well? When you are looking around you for the positive things it won’t change the circumstances of your life. It will however change how you view the circumstances in your life. Being positive isn’t believing nothing will go wrong in your life, it is knowing that whatever happens it will be okay and you will have peace. Bad things happen in this world, even when you are a positive person. We all have things we will have to deal with that we don’t want to, but how are you going to approach those things? Are you going to be a negative person, a doubtful person or are you going to be positive and a ray of light during it! 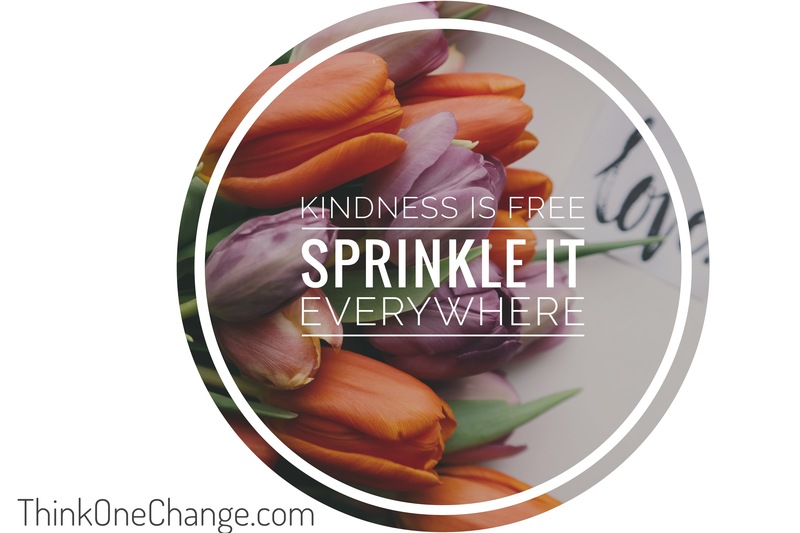 Did you know that it doesn’t cost you a thing to be kind to others? When I heard it I was just as shocked! Okay now seriously, you have no idea what anyone is going through. Being kind doesn’t take long to do. There are so many ways you can be kind to people you pass on the street, sit next to in the doctors office or pass in the store. When I see a person with a military uniform on, or a hat indicating they are a veteran – I shake their hand and say thank you. When I am doing self-check out lanes and someone is behind me, before I leave I organize all their food so bread and eggs and veggies don’t end up smashed. When I pass by the horse in our local store, I drop a few pennies so kiddos can ride on Sandy. I talk to greeters as I came and go from the stores. I think about others before I think about myself. It doesn’t mean I never put myself first, it just means that I try to be kind when I am in public because you never know what your simple act of kindness is going to do for someone else! I have always heard you are what you eat. I am not so sure I believed it though. I remember a time when I was going through McDonald’s drive through for a cheeseburger and a Diet Coke every day. I also would eat a Snickers bar for breakfast during that same time. I never turned into a Diet Coke, cheeseburger or Snickers bar. I did gain more and more pain. My headaches were increasing, and along with the headaches I was having blackout moments with my eyes. As time went on and things were starting to be diagnosed I had to change. I didn’t make as many changes as I should have right away but the more changes I made, I could feel a difference. I was amazed that when you get rid of one thing that wasn’t healthy and add another not healthy item that symptoms could change so much. I took a long time to really put together that what I was eating was slowly hurting my body. 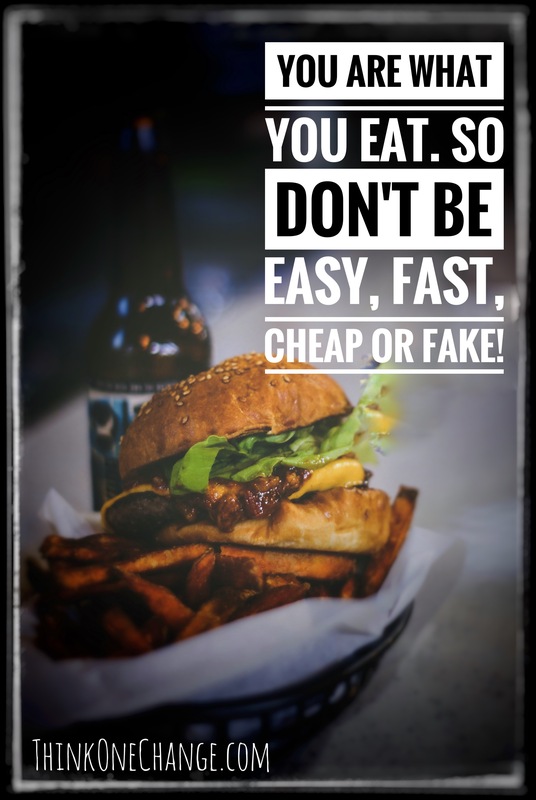 I didn’t want to believe that the fast, cheap, processed, quick foods I was eating wasn’t what I needed. 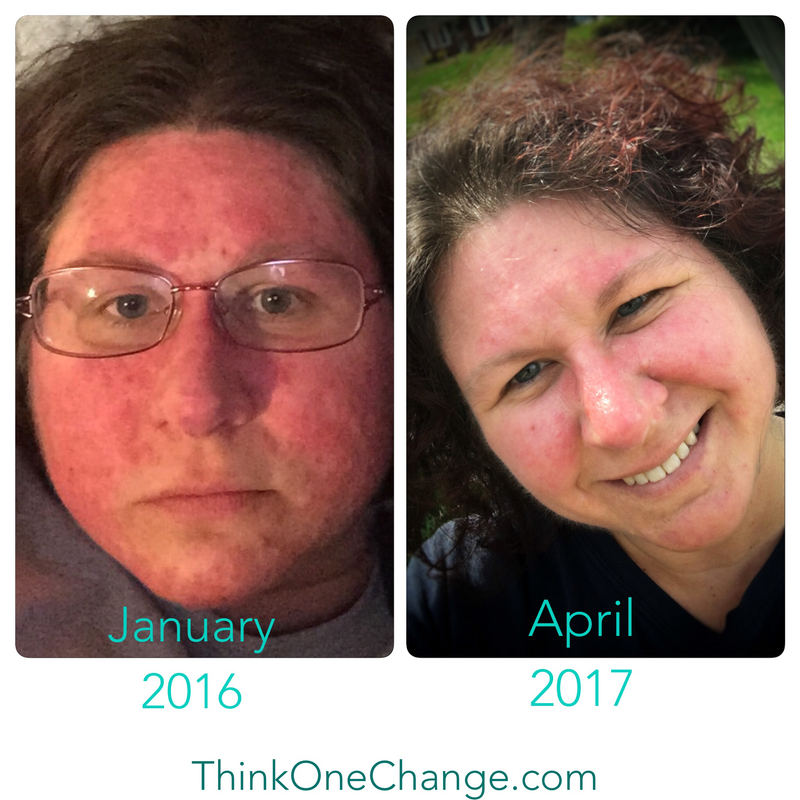 I didn’t want to believe that I had to make even more changes, healthy changes. Truth was I loved fruits and veggies and so I ate a lot of them already. So why couldn’t I eat the junk with the healthy foods? Because the processing was breaking my body down. For over a year now I have been making healthier choices. I have been getting fruits and veggies daily. I still have my moments when I break down and eat junk. I always feel miserable afterward though! 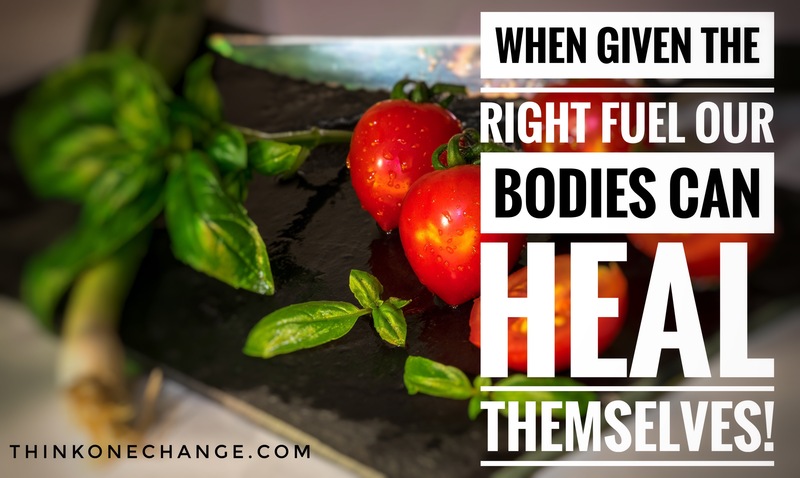 I know that eating the right things can heal my body. I don’t want to be miserable any more. I just want to work on healing my body, giving my body the fuel it needs so I can get better and I want to enjoy all of life. When I am feeling miserable, I don’t want to go for walks. I don’t want to ride the bike. I don’t want to mow the lawn. I don’t want to shovel the snow (okay honestly I don’t want to shovel the snow even when I feel great). When I feel miserable from not eating the correct foods, I just want to be miserable! That needs to end. This is me. I used to be miserable all the time. I hated taking photos. I never goofed around with my children, in pictures, in stores, in life! When you see these two pictures next to each other you can see some differences. You can see I wasn’t smiling and that was normal. I didn’t like who I was and I really didn’t like my smile. You can see that the redness is almost all gone (summer it comes back some because I love the sun) and the swelling and the puffiness from my face. You can also see that the pustules are gone. I do still get pimples but I could not tell you the last time I had a pimple. My face was so full of pustules that there was no way to tell what was what. What you can’t see however is how my insides have changed. You can’t see the growth I have had from the inside out. You can’t see the transformation of my mind, my heart or my soul. Life has changed so much that there are no words for me to even explain it. It leaves me gobsmacked! That is one of the best things that has gone on for me. My life has changed. Some days taking a stroll backward down memory lane is needed. When you are looking at the finish line and you feel as if you are never going to get there, maybe it is time to reflected. Take a moment to look at how far you have come. Even if it isn’t as far as you had hoped, it is futher than if you had never started! Be proud of yourself, be proud of the person you are transforming into and be proud of the fact that change takes time and you have not given up or given in to the negative things in life! Previous postYou Always Have The Choice To Change, Never Settle!